Welcome and thank you for visiting our school’s site! Danville South Elementary welcomes approximately 370 students into our third and fourth grade classes each day. Our passion is to instill a love of learning! Putting students at the center of everything we do is our main objective. This student-centered approach helps to ensure the academic, social and emotional growth of each of the students that passes through our building. We have an excellent staff that has a reputation for creating a safe and caring environment, building strong relationships with students and for driving student academic growth through exposure to rigorous and personalized approaches to instruction. Engaging students in technological ideas and STEM activities. 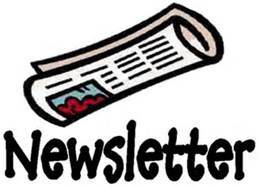 The school newsletter will now be emailed every other Friday.